The 17th vlog posting is the eighth track from Elton’s self-titled album, The Greatest Discovery. This track is of course filled with a beautiful string arrangement by Paul Buckmaster that I did my best to emulate on the piano. My rendition is modeled mostly after the way Elton has recently performed the song in his solo concert dates. The lyric is about the birth of Bernie’s younger brother Kit. This is one of those fantastic Bernie Taupin lyrics that is like watching a little four minute movie. It is just about how nothing compares to the wonderment and excitement of a new sibling coming into your life. The lyric is very insightful and does a brilliant job of describing the discovery of a new brother with words that one would not expect. 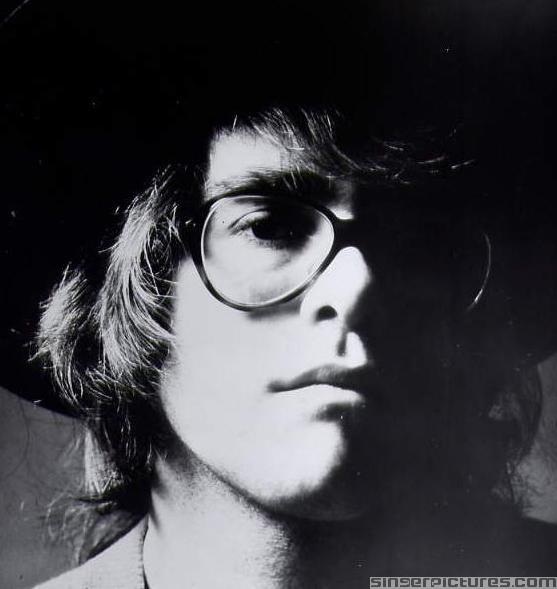 Elton’s melody flows through the words like they were written together. The song moves through peaks and valleys that are accentuated by the string arrangement. I really feel that this is one of Elton’s favorite songs to play in a live setting. He always seems to mention what the song is about, no matter how many times he plays it. I sense that he may have a certain attachment to this song because he never got to experience the joy of a sibling. I hope you enjoy what I have done with the song. As always, thank you for stopping by and please feel free to leave feedback. Wow!! man, simply amazing!!! your playing is great, each note is simply great, and the choice of the songs of course (no better albums for me, than “Elton John” , “Madman…” and “Goodbye yellow..”. But hey, whete did you get the sheet music? Hey man superb – it is fantastic to see someone so connected to something that you value yourself. I can sense you love of the great art and I am very impressed with your considered, talented expression of the magic of the music and your mastery and artistry in reproducing this arrangement so magnificantly. Thank you for sharing your talent so freely. Thanks a ton for your very kind words! Wow, your version is definitely better than the original! :O So beautiful… Keep going! Thank you so very much for your comment!!! I visit your website all the time. Its been a great resource for this blog! Thank you! it still moves me and makes me grateful for my three children. i find elton john songs have chronicled and mirrored my different stages in life. he escuchado tu canción “The Greatest Discovery” un montón de veces, y me encanta. Es una canción preciosa, y tu interpretación es magnífica. Intenté conseguir la partitura de esa canción para piano, pero la versión que conseguí estaba demasiado simplificada. ¿podrías indicarme donde puedo conseguir la versión de la partitura que tu utilizas? Gracias, y sigue interpretando así! I heard your song “The Greatest Discovery” a lot of times, and I love it. It’s a beautiful song and your performance is superb. I tried to get the sheet music of this song for piano, but the version I got was too simplified. Could you tell me where I can get the version of the sheet music that you use? Thanks, and continue with your great performance !